The best camping expedition is the one in which you go camping in a new location where you have never been before. This means that you barely know a thing about the place, including how secure or insecure it is. This will make the expedition more thrilling and fun to engage in. A generator is one of the necessities that you will need when you going to camp for the provision of electrical power. You will need the electrical power for various needs like lighting your tent or hammock. You may also need to charge your mobile devices like cell phones and torches. If you will be dry camping then there is no need to worry about the generator at all. When camping outdoors, you can make a choice to be quiet at night to avoid attracting attention, but what about your generator? This is a device that can barely understand the urgency of the situation, and so you must come up with a mechanism to minimize its noise levels. Read on and get to learn the best way on how to silence a generator for camping. The amount of noise produced by generators varies according to various factors. It is very important to understand the factors that can make your generator to be more silent or louder than you expect it to be. If you have soundproofed your generator, then you must expect it to be quieter than those that have no soundproofing effects done on them. You can use materials like rubber feet or even soundproofing casings to reduce the noise produced by the vibration of the generator. The level of soundproofing done on your generator will, therefore, determine how loud or quiet it will be. The place you decide to place your generator will have a huge influence on how quiet or loud your generator will be. If the generator is stationed near you, then it will obviously be louder than if it is stationed some distance away. Placing your generator on a surface that will amplify the noise will also make it noisier. Avoid placing them on shaky platforms as well as this will always help in increasing the vibrations. Generators that are required to produce higher energy levels are generally louder than those required to produce low energy levels. For instance, a 4000-watt generator will produce more noise than a 1000-watt generator. It is however not so strange to find a high energy level generator that produces less noise depending on factors like the technology or the brand of the generator. It is therefore important to buy a generator that produces just the right amount of power you need if you are really concerned about the noise levels. The technology used in your generator will determine how quiet it will be when operating. A generator that uses the inverter technology will generally be quieter than the conventional ones. This is because an inverter generator produces over 300 dine waves every time the engine rotates. Inverter generators also have a more compact design because of their smaller engines. Last but not least, inverter generators feature technologies like eco-modes and noise mufflers that will reduce the noise produced by the generator according to the power demanded. A sound deflector is basically an object that will divert noise away from the site you have chosen to camp. This works more effectively compared to placing your generator far from your camping site. This makes the place quieter but does not make the generator quieter. If you are seeking a remedy on quiet a generator for camping, I am sure the first step would be for you build an enclosure for it. To build an effective enclosure for your generator, let it have a concrete floor and an upper part made of bricks or wood. This one will serve you better. If you can access a fireproof insulator, it will work best when it comes to absorbing and deflecting noise from a generator. Make sure that the enclosure is well ventilated to prevent the build-up of too much heat and fumes from the generator. Changing the positioning of the exhaust pipes of your generator from a horizontal position to a vertical position helps a great deal in making your camping generator quieter. This is because the sound waves will be directed upwards rather than outwards. As the sound waves move outwards, they move to one direction which makes the generator to produce noise which is very loud and irritating. The exhaust and the engine are the two major parts of a generator that produce the loudest sounds. To the engine, there is actually not much you can do to make an alteration which will reduce the noise it produces; but instead, you can change the muffler in the generator’s exhaust. Installing a bigger muffler will help in making your generator quieter during your camping period. A baffle box has been specifically designed to enclose a generator. It helps a great deal in quieting a noisy generator by confining the noisy sound inside. You have to ensure that the baffle box you get has been constructed in the best way possible to prevent the generator from getting damaged and also to mitigate any hazards that are likely to occur. Just like in every machine, you should check your generator’s controls just to be sure that they are in their right working condition. Make sure that if you decide to use a baffle box to quiet your generator, you will leave a space which will allow you to access the control points. You can place a rubber flap over the access point of the generator’s controls instead of having to remove the baffle box every time you need to access the controls. The rubber flap acts as a cover to the controls and at the same time eases access to the controls. The rumbling sound of a generator is not something you would want to hear all night when you are asleep. I doubt if you would even get any sleep. Installing your generator at a location far from where you have set up your tent will reduce the amount of noise that will reach you. This will allow you to have a good night’s sleep after a long day of traveling and hikes. Water, just like air is one of the basic necessities of life. Water can save you a great deal when you are out there camping and you need a way to quieten your generator so that you can relax and get some rest. You must be wondering how workable this is, but I can assure you that it is a very simple task. If you want to use this method to make your generator quieter, connect a hose pipe to the exhaust of the generator and dip the other end of the hosepipe into a bucket of water, say a 5-gallon bucket. This will dampen the sound of the generator being produced by the exhaust and help in reducing the overall noise coming from the generator. To prevent any water from getting into the generator, create a small hole at the high point of the hose pipe. In the market, there are a variety of generators all of which have different features but perform the same function of providing power. The large generators, for instance, were modified specifically to be used in construction sites and other areas where noise is not a bother. For your camping purposes, a quiet generator will serve you best since you don’t have to struggle to take the extra measures to reduce your generator’s noise levels when camping. Making a good purchase of a quiet generator will take you a long way since it will be solidly built and will simply work for you. It should be easy to set up, start quickly and be very quiet. Ensure that the manufacturer offers a warranty of up to two years plus. This is an assurance that it is of good quality. Also, great customer service is ideal because it assures you of assistance simply by making a phone call or sending an email. Getting a quiet generator seems to be the best decision you can make for your camping spree. It should be of a high quality. Paying more for a quiet generator would be worth it if you get one that has plenty of positive feedback from people who have already used it. A great quiet generator should be small but also efficient. Its small size makes it portable, and you can easily carry it with you to your camping expeditions. Its size should allow it to work throughout the night without you having to get up in the middle of the night to fill the fuel tank again. 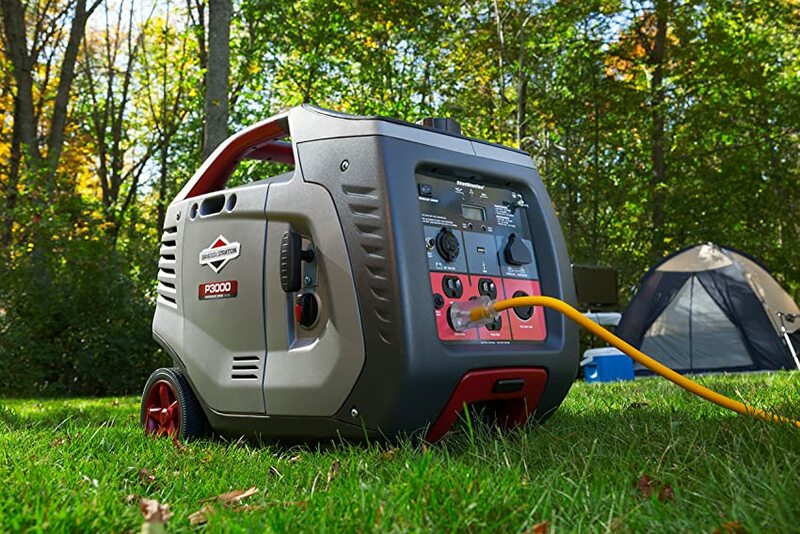 If you can determine the amount of power you need to power your items, you can easily decide on the right size of a quiet generator you will purchase for your camping needs. If you have only a few gadgets to power, then you need to get a smaller generator compared to when you have many items which need power. Getting a quiet generator which simply works for you will leave you with no regrets. A power generator is very useful, especially in emergency situations. When the power supply is limited or unavailable, a generator can help bring a sense of normalcy, albeit temporary. Although helpful in various situations, generators emit excess noise and fumes that can affect the environment and those nearby. In an attempt to minimize potential pollution, you can spend a lot of money to lessen its effects with a commercial enclosure. Generator enclosures are perfect for standing units, recreational vehicles, and service bays. However, you choose to make your own. Here are some steps on how to make a generator quiet box. Your box can be just as functional as the commercial brands. Let’s get started! Use your measuring tape and write the size of each side of your generator. Add at least another 10 inches on each side to allow for the thickness of the ventilation, soundboard, and insulation. Next, cut each side according to measurements. Cut one side of the box a minimum of 4 inches shorter than the other three sides. Mark each side for easy assembly. The shorter side will make room for air to pass through the bottom of the generator. Circulating air will help keep the generator from overheating when in use. Your quiet generator box should be easy to lift and tote when required and also easy to store. Assemble each side and join the edges using glue or hinges, depending on your specific needs. A quiet generator box on hinges will allow you to fold the box flat when traveling or for easy storage. A roof on the generator box will protect the equipment when it rains. Use your circular saw and cut three round holes in the walls of the box to accommodate a cooling fan and air vent. Cut the size of the hole based on the actual size of the cooling fan. A good gauge should be at least 10 inches to get maximum airflow. Mount the vent in one hole and the cooling fan in another. Fit the fan securely into the socket. A cooling fan helps move the air around and will lessen the sound emissions. The vent helps circulate fresh air inside the box, removes hot air to keep the area cooler. When learning how to build a quiet generator box, insulation is a priority. Insulation should never cause your generator to overheat or exacerbate noise.Some materials to consider would include styrofoam, rubber sheeting or insulation board. Line the box with insulating material on all sides and glue the material to the board. Seal the edges in place with caulking. Next, glue the foam mat to the insulating layer, and press securely in place. Caulk the insulating layer to seal the edges. For added insulation, you may also wreath the exterior of the box in tar shingles. If you are using metal, it’s a good idea to support the adhesive on each side with broad-headed rivets evenly spaced around the parameters. For wooden structures, reinforce each side with screws and penny washers at appropriate intervals. Apply a flexible length of pipe or exhaust tube to the generator exhaust. Guide the outer end of the hose to the generator muffler. Attach the muffler firmly in place with a muffler clamp to minimize damage from vibration when the generator is in use. Next, connect the opposite end of the tube to a used car muffler. Through the third hole, direct a flexible exhaust hose and secure in place with a filter that can muzzle the sound. Place the box over the top of the generator and channel the pipe or tube outside to exhaust generator fumes when in use. Exhaust tubing is very critical to prevent the generator from re-absorbing its fumes. Exhaust tubing will also reduce excess gasses and heat buildup during operation. For standing units, allow the tubing to point downward to prevent the rain from entering the generator. If your generator is attached to your utility vehicle, channel the exhaust tubing away from the vehicle. It will redirect exhaust noise away from the vehicle and prevent vibrations that can create louder sounds. To get the best results, consider each aspect of your generator; noise, storage, durability, transport, and ease of operation. Each phase of the process is geared to help you create the best product possible. It will also help to enhance your environment by reducing noise and air pollution. With a few essential tools and materials, you can learn how to build a quiet generator box. In a few easy steps, you can create a quiet generator box that can rival any commercial product available. To get the best results, consider each aspect of your generator; noise, storage, transport, and ease of operation. There is nothing as great as having a successful camping expedition. This means that after everything is done, you will be happy and will have achieved all that you had intended to achieve. While having a generator with you at campsite is ideal, knowing how to quiet a generator while camping is also very necessary. How do you normally reduce the noise levels of your generator when you go camping? How to make generators quiet? Have you ever used any of the methods that we listed above? Do have another method in mind that you have never tried but you think is effective? If yes, inform us about it using the feedback section provided below. These are useful tips regarding how to make a generator quiet that every camper needs to know. I believe that now you know how to make your generator quieter by these simple tips.